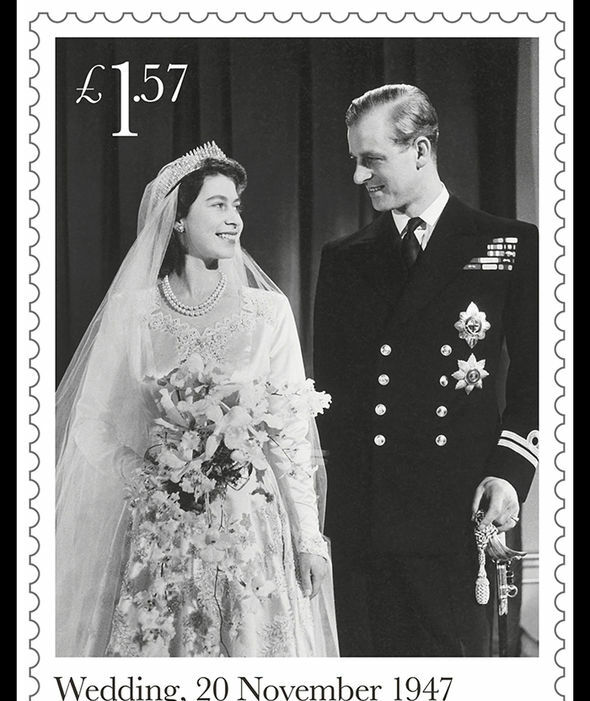 THE Queen and Prince Philip’s 70th wedding anniversary is being commemorated with a new set of stamps showing the happy couple's ceremony and honeymoon. 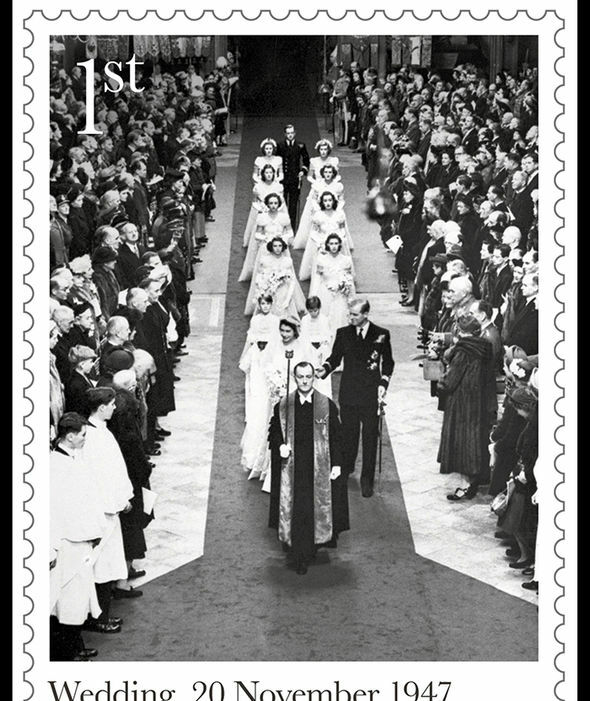 A series of six images includes the bride and groom walking down the aisle following their Westminster Abbey service on November 20 1947. The Royals are also pictured on their honeymoon in the grounds of Broadlands in Romney, Hampshire, looking at photos of the wedding. 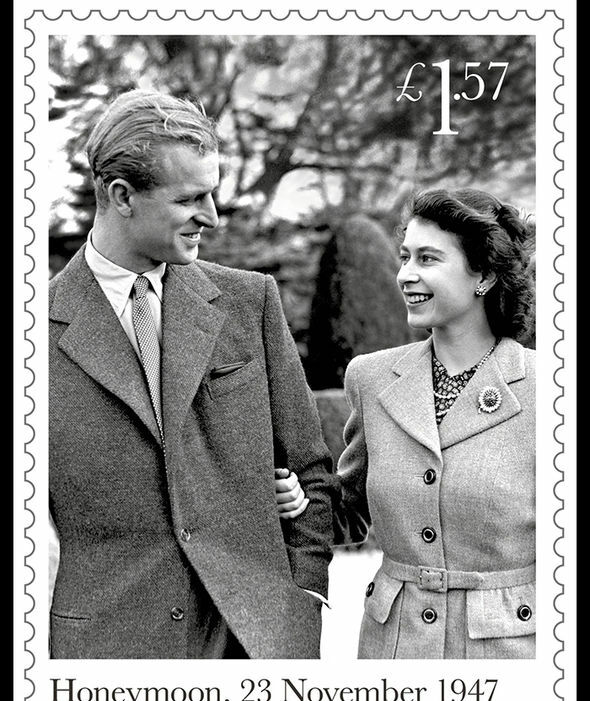 And two more stamps show the pair marking their engagement at Buckingham Palace in July 1947. 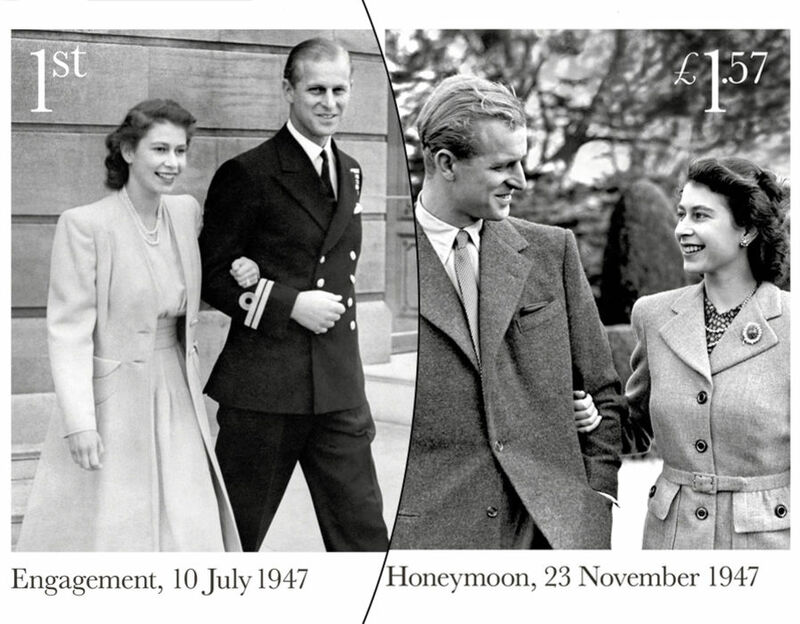 The couple are the first members of the British royal family to celebrate 70 years of marriage. 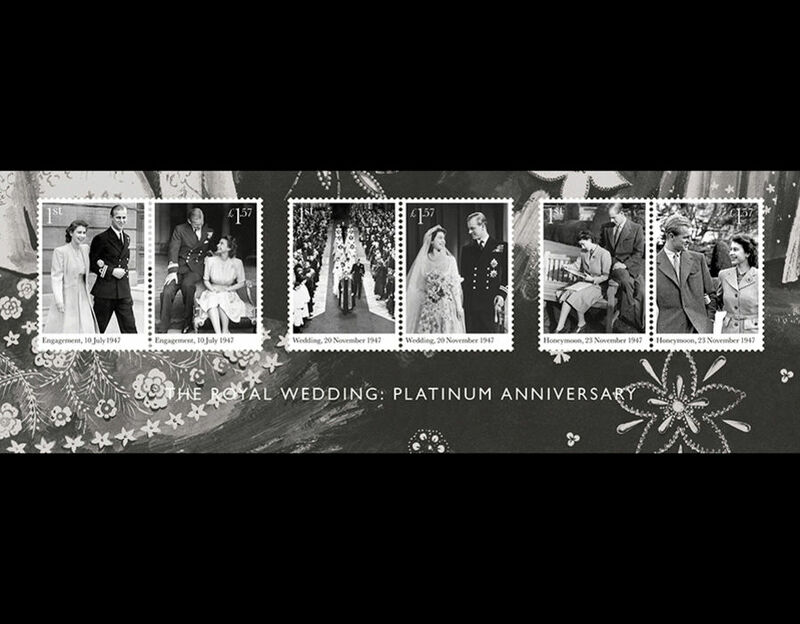 Philip Parker from the Royal Mail said: “A platinum wedding anniversary is rare, and for the Royal Family it is unique. Their 70th anniversary will be marked on Monday with bells ringing in celebration at the historic church where they wed.
At 1pm, Westminster Abbey's Company of Ringers will sound the bells for over three hours in a special tribute. 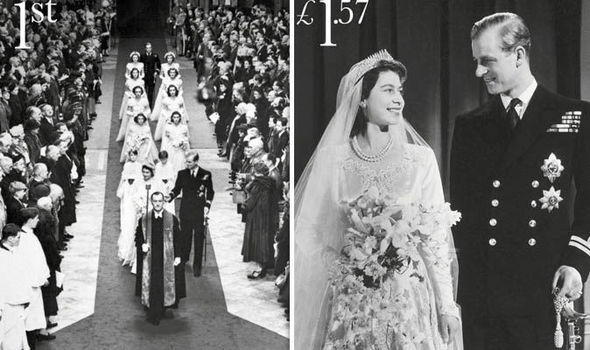 It is a tradition that the Abbey bells are rung for significant royal occasions and anniversaries, and the Queen is the first British monarch to celebrate a platinum wedding anniversary. 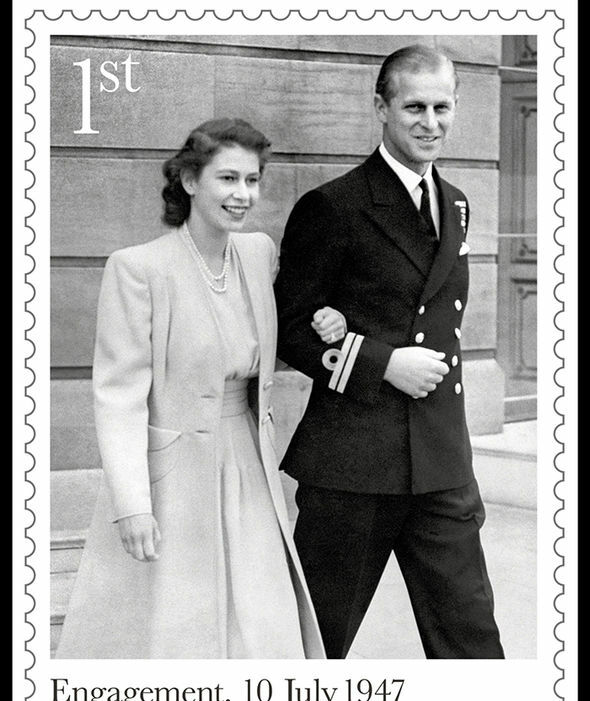 The future monarch was just 21 when she married the dashing naval officer Lieutenant Philip Mountbatten in 1947. Their fairytale wedding was a morale boost in the long, hard years after World War Two with millions of people listening in on the radio. Royals and dignitaries gathered inside the abbey, waiting for the young royal bride, whose Norman Hartnell wedding dress was hand-embroidered with more than 10,000 pearls and crystals. War-time leader Winston Churchill summed up the occasion as "a flash of colour on the hard road we travel”. 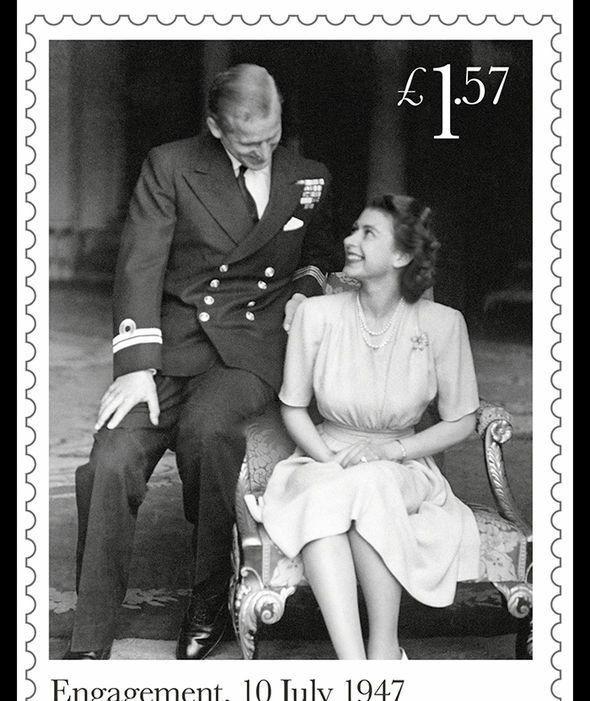 The Queen and Philip attended thanksgiving services at the Abbey to commemorate their silver, golden and diamond wedding anniversaries, but this milestone is not being marked which such a service. Instead, they are expected to mark the occasion with a small family party at Windsor Castle. Philip, now 96, has officially retired from public duties while the Queen, 91, is still going strong. 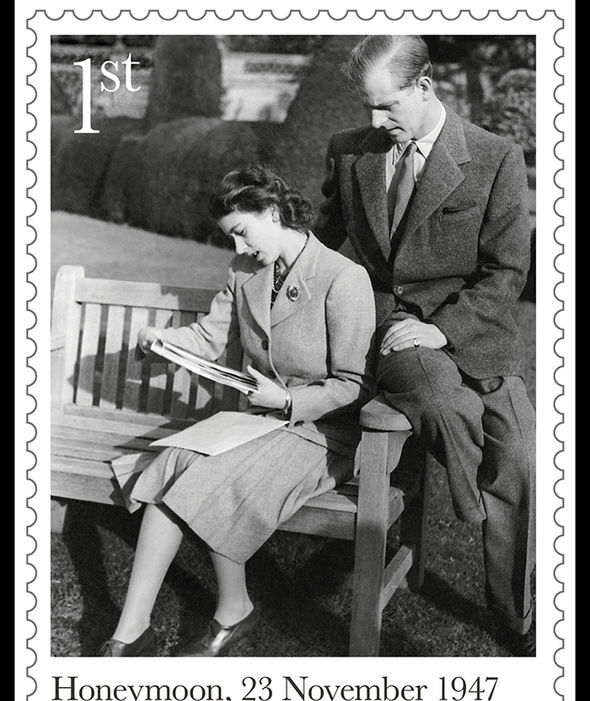 The couple first met at the wedding of Prince Philip’s cousin Princess Marina of Greece, to Elizabeth’s uncle, the Duke of Kent, in 1934.